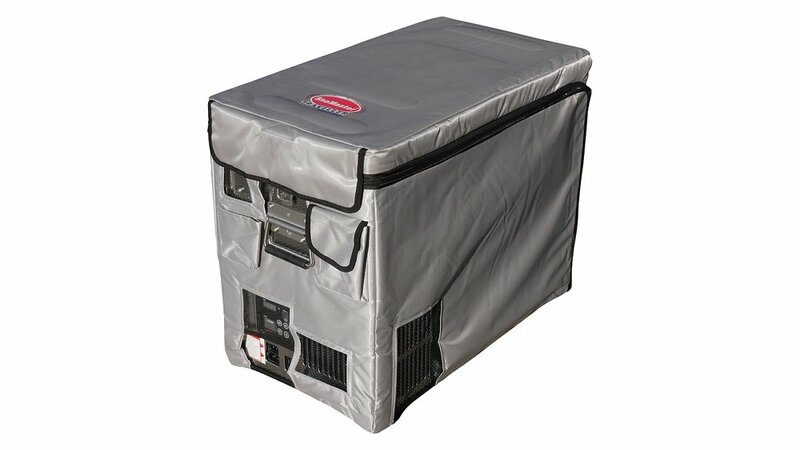 Fridges and freezers for the price-conscious, yet demanding, camping and off-road enthusiast. Innovative features and the best cooling performance at extreme outdoor temperatures. More net capacity fur to reduced insulation space. 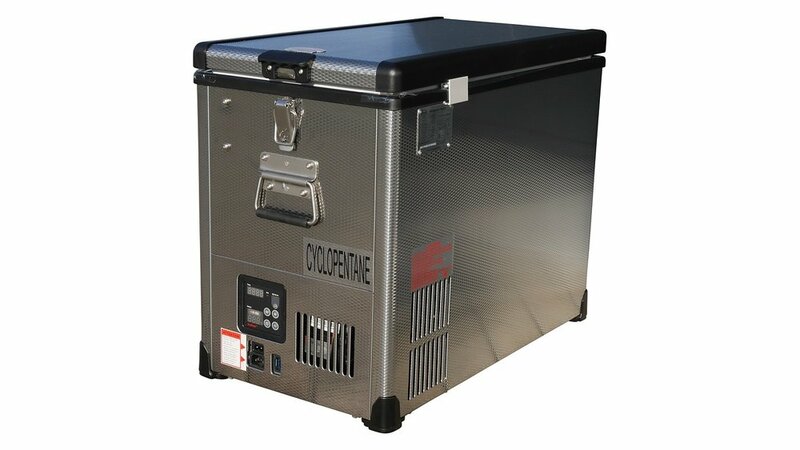 Can be used as a cooler or freezer down to -22°C. For 12 and 24 Volt DC as well as 100 to 240 Volt AC. Comes with a five year warranty on the compressor. The temperature is adjusted by means of an intuitively operated panel with bright, large illuminated LED displays with direct temperature selection in degrees Celsius. No optional extras necessary. 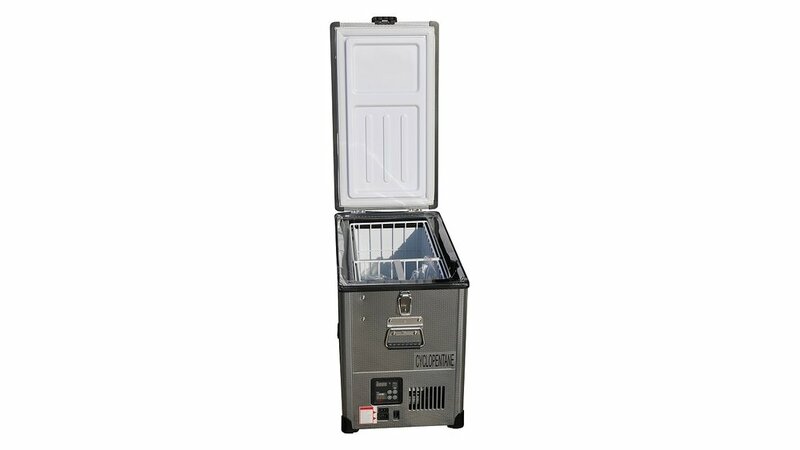 The removable baskets and also the protective cover, as well as the 230 Volt equipment, are always included. SnoMaster guarantees a five year warranty on the compressor. To prevent draining your battery supply, all fridges are equipped with a battery monitor. This can be adjusted via the control panel in three steps between 10.0, 10.7 or 11.8 Volt or 22.2, 23.5 or 25.0 Volt. When the voltage supply is too low, the fridge will turn itself off. This prevents draining the car battery which can cause damage both to the car and fridge. The protective cover can be closed with a zipper, has a storage bag and comes with a bottle opener. 1 Compartment. 42 Liters. SnoMaster High Performance Compressor. 12 / 24 / 100-240 Volt. Update November 2017: New version with high-quality stainless steel outer case, large display and reinforced protective cover. 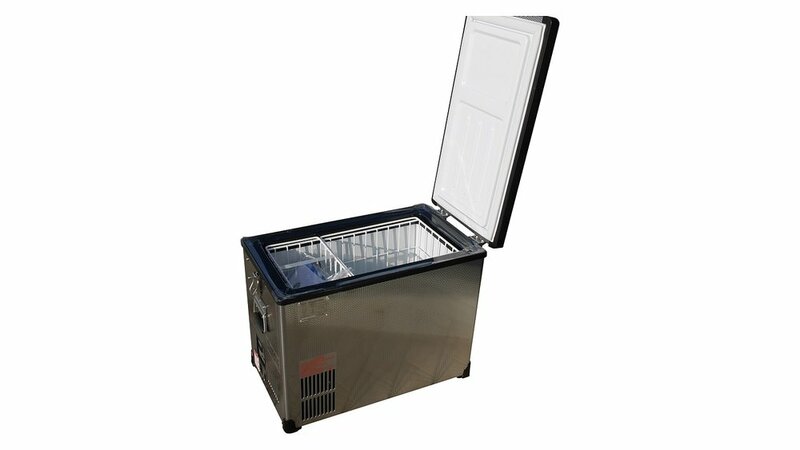 The SMDZ-TR42 is the ideal alternative or the perfect substitute for a 40 Liters Engel MT45D or MT45F fridge with its nearly identical outer dimensions (the details of Engel® are in the handlebars) and the hinged lid. After testing, the magazine Drive Out also found that the SnoMaster fridges cool faster and consume less power. 2 Compartments. 39+42.5 Liters. Optimised stowage place. SnoMaster High Performance Compressor. 12 / 24 / 100-240 Volt. For having the same dimensions as the SMDZ-EX67D, the SMDZ-TR82D has a significantly larger net capacity. The insulation in the left compartment was reduced to 60 mm and in the right compartment to 45 mm. The partition wall is also significantly thinner. 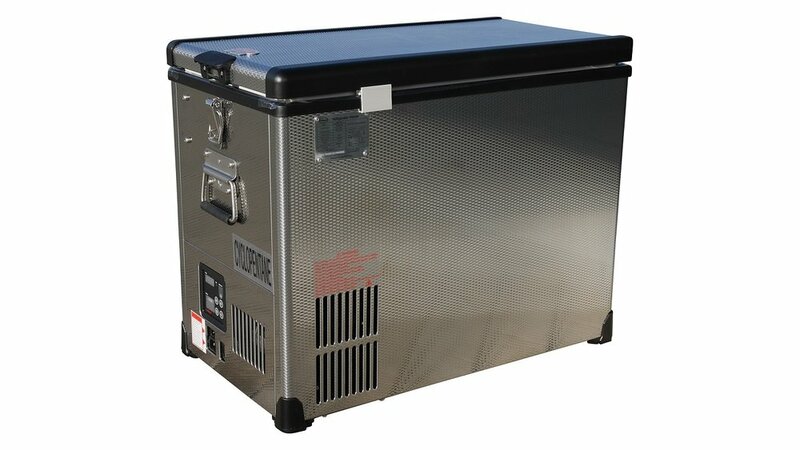 Therefore, this cooler, although it has two compartments, has only one large lid. 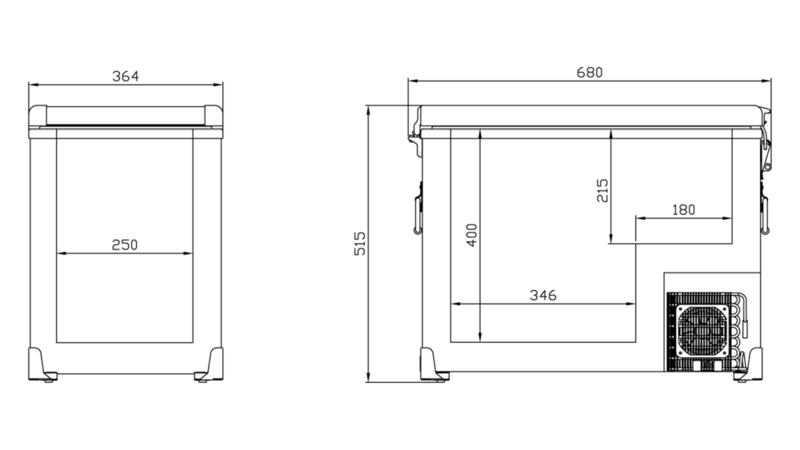 The control panel can be mounted in two possible places, on the side or in the front. Interior: The interior is in the form of stairs. 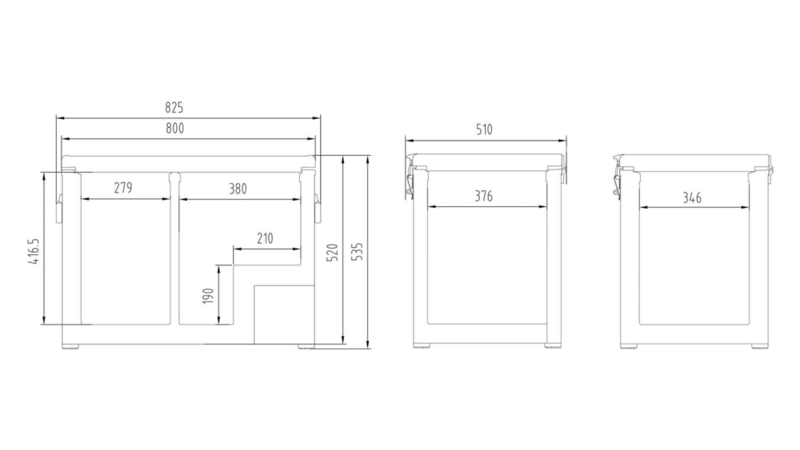 It is 380 mm long at the top, 170 mm in the recessed area; 376 mm wide and 416 mm, resp. 226.5 mm high.